Overseas Filipino Workers or OFWs go abroad because of better and in demand jobs. More and more overseas employers rely on OFWs to get things done. Either they are short of skills or locals do not like the jobs. 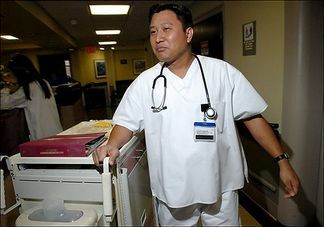 Filipino nurse Elmer Jacinto at St. Vincent's Midtown Hospital Sept. 21, 2006, New York. He was a doctor in the Philippines. Migration - the other term for going abroad - is becoming a part of our lives. The world is shrinking and OFWs have become active participants in the global job market. Going abroad could be the best decision you would ever make in your lifetime. Or it could be the worst. Your Philippine passport is your basic travel document. The green passport with handwritten information about you is valid until its date of expiry. But why take the chance when you can get the new biometric Philippine passport? Your NBI clearance must be valid for six months. Get your school records - diploma, transcripts - license or training certificates authenticated or certified as true copies. Don't forget your employment certificates to prove your work experience. Then prepare your resume. Make your resume work. Read job descriptions carefully and submit a resume that fits the requirements of the job. Do not submit a generic resume for all job applications. Read these OFW tips for a good resume. The process of going abroad requires some amount of money. Some OFWs get 5/6 loans (from loan sharks) to cover high placement fees. Some recruitment agencies do not charge placement fees but you need to spend for other expenses. Check the Philippine Overseas Employment Administration (POEA) website for overseas job listings and agency verification. 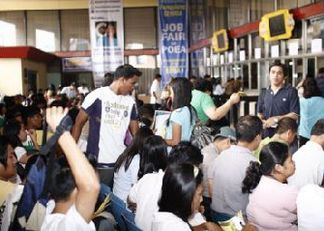 Government to government hiring passes through the POEA. But POEA jobs abroad normally pass through agencies. Be careful of illegal recruitment and human trafficking. Deal only with licensed recruitment agencies with valid job orders from the POEA. You can check whether an agency is legal and job orders valid through the POEA website. "Manpower pooling" means there are no job orders yet and you do not need to pay anything. Or get an overseas job on your own, called name-hire. The internet helps you access thousands of jobs abroad. But beware of internet job scams or job offer scams. Go through the POEA process also after getting a job to register as an OFW. Prepare for the interview. Read the job description and your resume to prepare your mind that you can do the job. Once you get the job, read your employment contract. Your contract must pass the minimum standards set by the POEA. Issuance of your visa depends on your approved contract. Take the medical exam only after getting the job. You need to attend a Pre-Departure Orientation Seminar or PDOS so you can adapt to your host country faster. It may be one of the top destinations of Overseas Filipinos. At the end of the process are your OFW ID card, PhilHealth coverage and Overseas Workers Welfare Administration or OWWA membership. 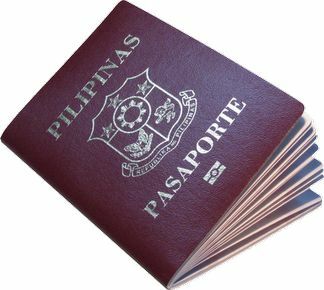 Your main documents are your passport, contract, visa or work permit and the OEC (Overseas Employment Certificate) from POEA. These will help you avoid harassment at the airport. Open a bank account while in the Philippines for sending money once abroad. Some major banks have branches at the POEA main office and one of them may have a branch in your country of employment. Find the best way to send money to the Philippines here. Then you are ready to leave the Philippines. Going abroad does not happen in an instant and requires you to prepare for it. Being highly skilled improves your chances of getting a job. 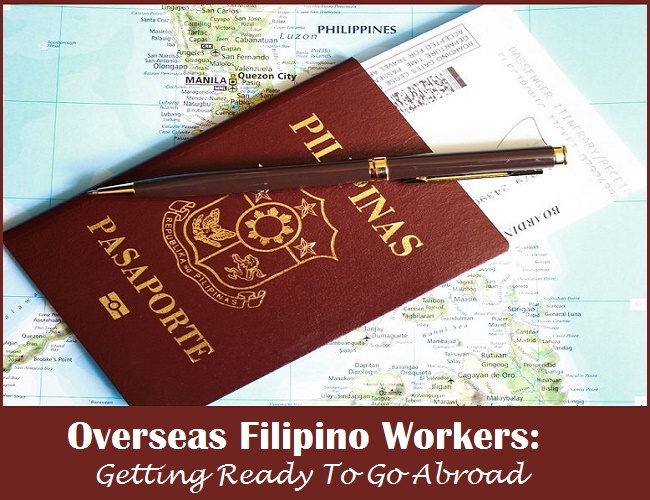 It's your best passport of joining the ranks of Overseas Filipino Workers or OFWs.